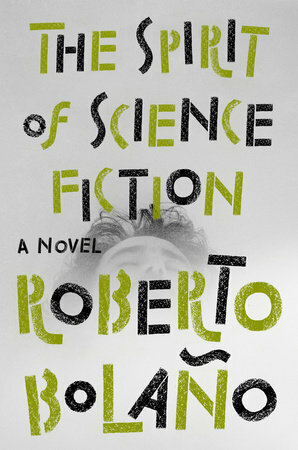 Like an asteroid from deep space, Roberto Bolaño’s just-published novel The Spirit of Science Fiction, in a sparkling translation by Natasha Wimmer for the Penguin Press, comes without any warning or, for that matter, any background information. But as with the author of The Savage Detectives, One Night in Chile, Distant Star, and 2666, any newly-published Bolaño title is inherently of interest. And this one is especially welcome. As is so often the case, after an author’s death what comes to light is often what had been cast aside or even forgotten by the writer, of interest only to the scholars. Sometimes, as with Proust’s Jean Santeuil, it has an inherent value; reading that unfinished novel we can see how Proust first attempted a more traditional approach to his novel using much the same material that later went into his masterpiece. All of that would change once he had found his voice, his point of view, and his theme. So I had my doubts when I heard that The Spirit of Science Fiction was forthcoming. I assumed it would be a minor work, a youthful attempt, a series of sketches. It’s anything but that. It turns out that the Bolañoesque universe, style, themes and all, was already formed even as far back as this early work.